A family atmosphere in a caring and nurturing environment. 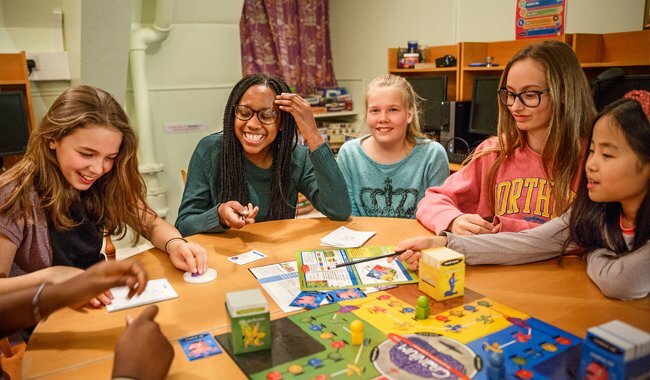 Boarding remains at the heart of school life with some children coming from overseas, together with weekly boarders from London and the South East. 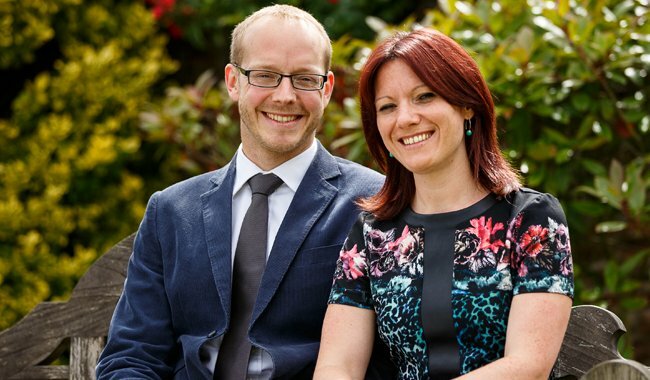 The girls are accommodated in Juckes House where they are looked after by their own Housemistress, whilst the boys reside in Kipling with their own Houseparents. A family atmosphere, comfortable dormitories for small numbers, good food and careful supervision all help to make life fun for the children. They can also enjoy the benefits of country life with good fresh air and space to play. Children usually make friends quickly and a team of well-qualified staff, under the direction of resident House Parents, ensures that all will thrive in this positive environment. Teddies and other friends are always welcome. 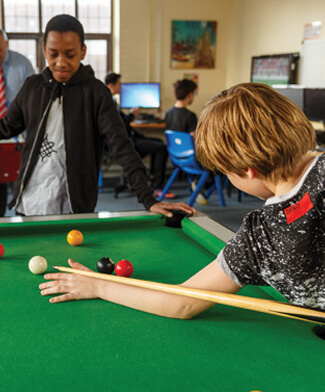 Boarders enjoy evening access to all the school’s facilities, including the common rooms, library, sports centre, music school, art room and modern ICT facilities. A stimulating programme of activities, expeditions, films and sport is provided each evening and at weekends. Rudyard Kipling, who opened Junior King’s on its new school site in 1929, wrote of the importance of filling ‘the unforgiving minute with sixty seconds worth of distance run’. 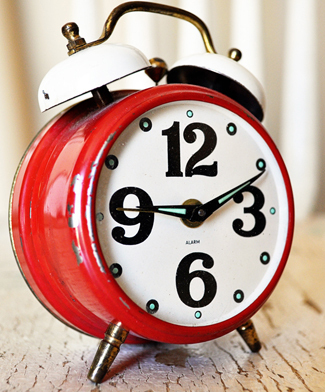 Time does not stand still in our thriving school community. 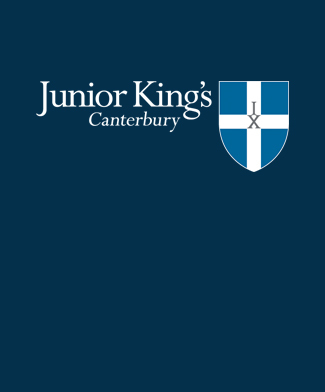 Making the most of daily opportunities and challenges, where endeavour and success are held in the highest regard, are just some of the defining qualities that make boarding such a rewarding experience for pupils and staff alike at Junior King’s. 7:00am Wake up, shower, clean teeth, tidy dorms. 8:25am Registration and then to lessons. 4:45pm School ends. Change into home clothes. On a Wednesday, school finishes at 3:15pm. During this time boarders may use the tuck shop and older boarders may take Village Leave. At 5:30pm there are House Meetings and tea will follow a theme which may well be an opportunity to celebrate a nationality represented within the boarding community. We offer a full weekend programme with the majority of our boarders being full boarders. Saturday night is film night. Sunday morning is a chance to lie in, attend a Christian service, take part in organised in-house activities or off-site excursions as well as take advantage of some personal free time. Kipling House is the Boys’ Boarding House and was named after the famous author and poet, Rudyard Kipling, who opened the School on its new site in 1929. Boys are housed in seven attractive dormitories which are named after famous individuals who displayed great determination and positivity in their exploits: Drake, Frobisher, Raleigh, Nansen, Darwin, Scott and Shackleton. 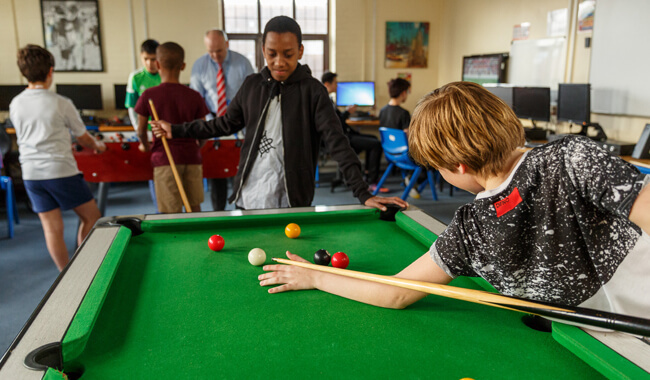 Within Kipling House there is a communal common room and a games room, surrounded by acres of space in which to enjoy outdoor play. There is a distinctive nautical theme running through Kipling House which fosters teamwork, mutual trust and a sense of adventure. As Houseparents we aim to ensure that boys feel cared for, understood, nurtured, encouraged, praised and guided, and that their achievements are celebrated. We place great store on the need for children to show consideration for others at all times, acceptance and kindness. We encourage boys to have plenty of fun in their play and to work hard in order for them to develop their talents and fulfil their potential; we also encourage them to respond positively and imaginatively to new challenges, displaying confidence and independence, and for them to make the very most of the opportunities they have – or, as Kipling put it, for the children in our care to ‘Fill the unforgiving minute with sixty seconds’ worth of distance run’. 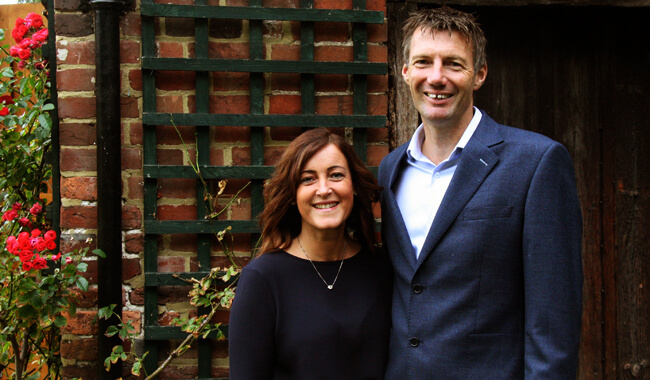 In Juckes House, we work hard to create a happy and relaxed environment that feels like home. 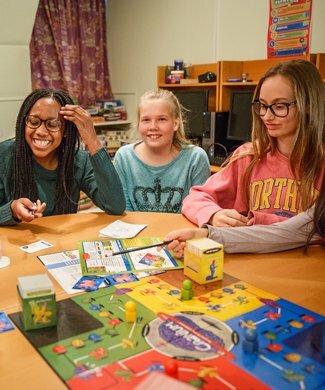 We know that the girls’ school days are hectic, so we ensure that when they walk onto the boarding floor they can begin to unwind and enjoy the company of fellow boarders and a staff team who genuinely care for them. The floor is well resourced with computers, Sky TV, games consoles and a kitchen area, and the girls have the space and opportunity to relax in the way that suits them best. They also have many opportunities to be outside and make the most of the wonderful school grounds. We look to build relationships with the girls that are pastoral rather than educational and make sure that some of the special aspects of home life aren’t lost just because of the school setting. This ranges from stories at bedtime to hot chocolates and chatting. We recognise the huge privilege of investing in the lives of the girls in our care and it is a joy to see them grow and mature through their time with us.